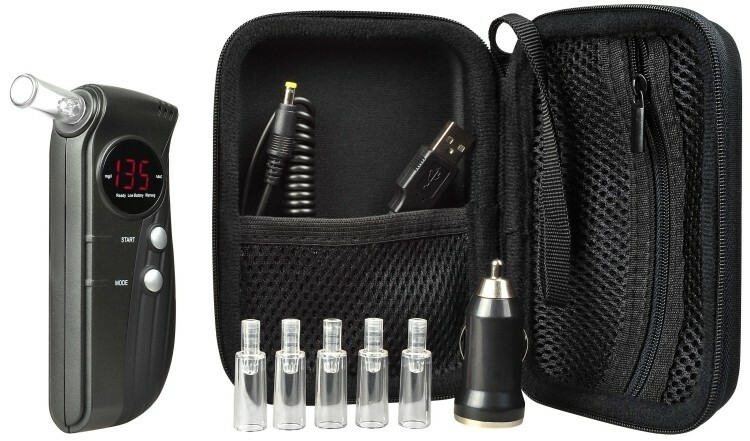 Breathalyzers are no longer simply used to detect the presence or amount of alcohol consumed. Scientists and researchers around the world are working on all sorts of expanded tasks for breathalyzers, from detecting the presence of cocaine and marijuana to determining if someone is experiencing heart failure. The latest use comes in the form of a common disease in America: diabetes. A group of chemists from the University of Pittsburgh are working to develop a new type of breathalyzer that could detect diabetes and monitor the progress of the metabolic disease. It’ll be able to do so by detecting a fruity odor on an individual’s breath – a common symptom that corresponds with elevated glucose levels. This biomarker could even be used to determine the exact levels of glucose which means diabetics could use the device for continued monitoring – an approach that’s much more appealing than having to check blood sugar using a needle to draw blood. Specifically, the chemists are working on what they call “titanium dioxide on a stick.” They use carbon nanotubes as skewers to hold titanium dioxide in place which can be used to measure acetone vapors. These vapors indicate the presence of ketoacidosis, something that builds up as a byproduct of fat being broken down in the body. Ketoacidosis also happens to be one of the first signs of type 1 diabetes. Alexander Star, principal investigator of the project and associate professor of chemistry at the University of Pittsburgh, said alternate devices that are noninvasive, inexpensive and easy to use could completely change the paradigm of self-monitoring. The team is working to develop a prototype that can be tested on humans and will be ready as soon as possible.